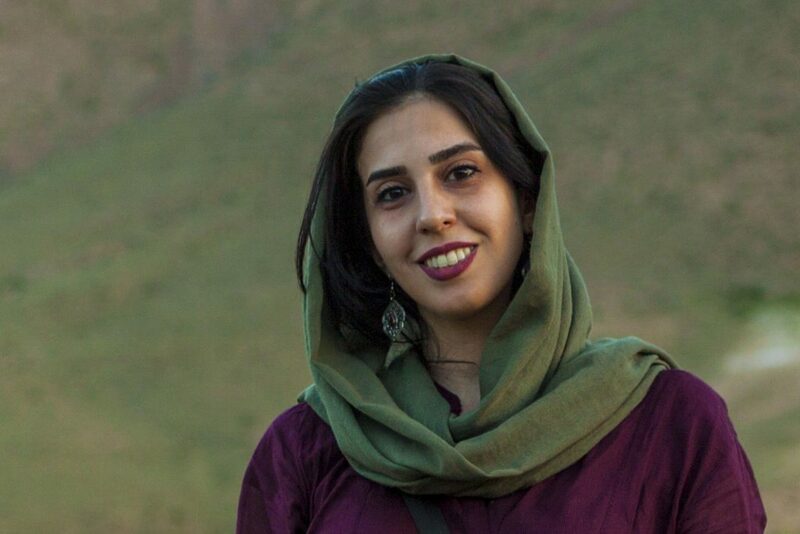 Sharareh Samei was born in Iran. 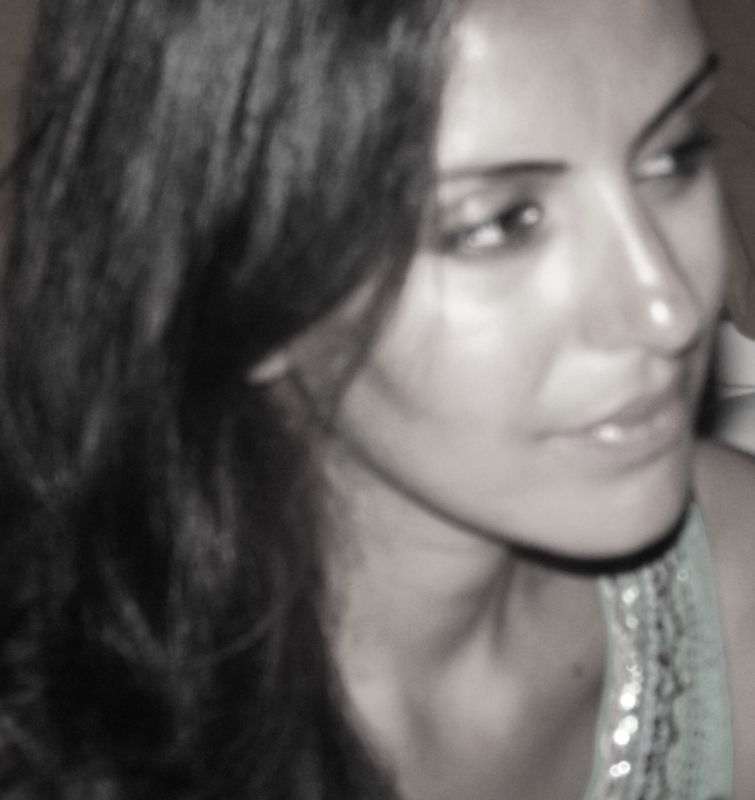 She studied western philosophy at university and she is a self-taught photographer since 2008, having her first exhibition, a social documentary, in 2011. 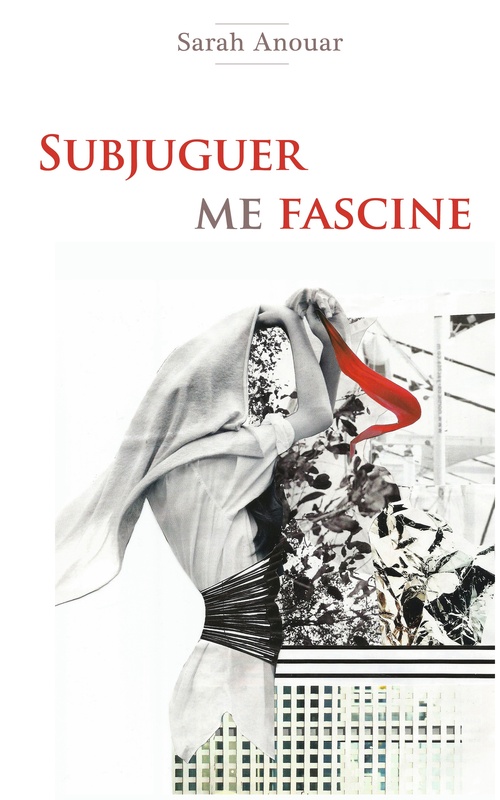 In 2012, she started specializing in theater photography and had been part of six group exhibitions since. 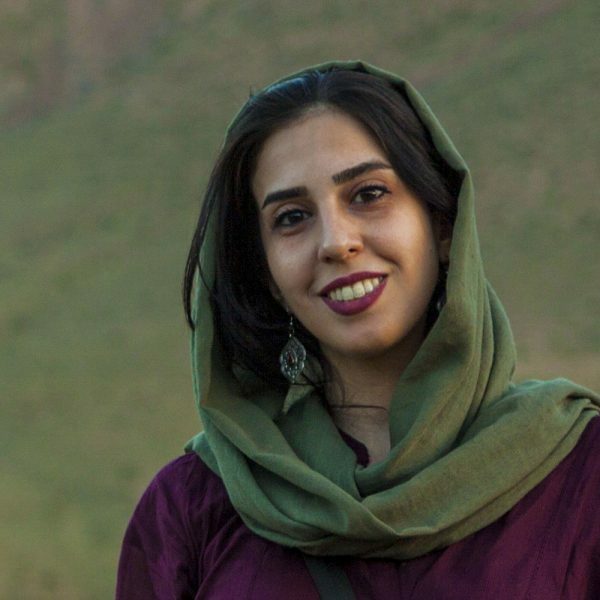 In 2013, she started working as a journalist and has been a photographer for an Iranian Arts News Agency since 2014. 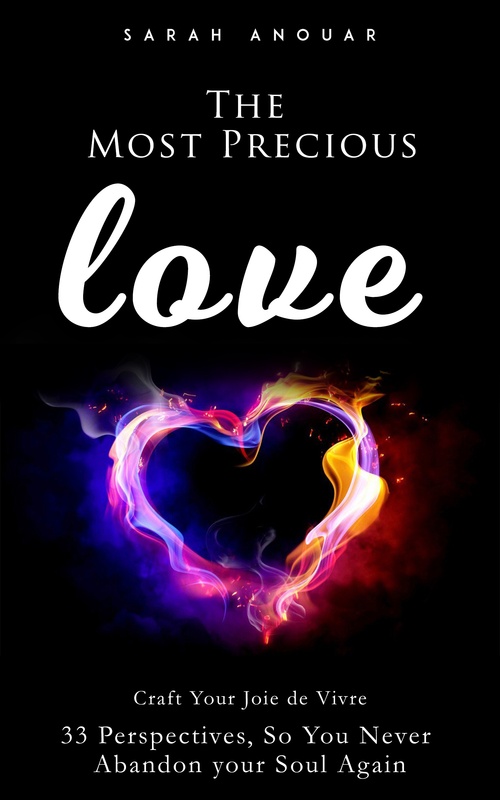 One of her deep concerns is the Afghan immigrant women whose rights and womanhood have been very much ignored due to war and insecurity in their country. 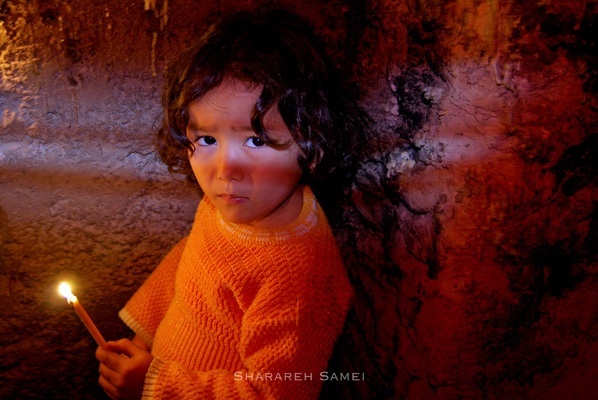 Sharareh shares a mini series “wifman” on women in her country. 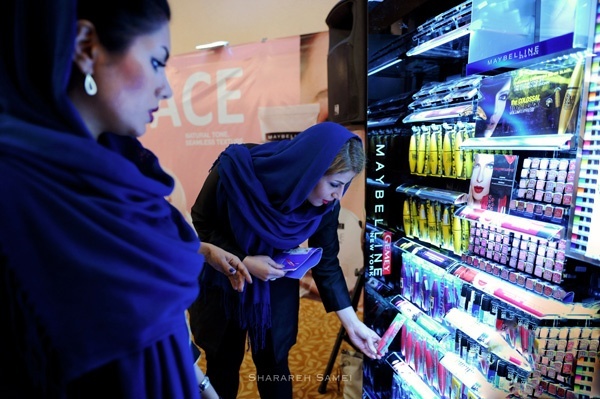 Zar Sima Ara staff examining cosmetics before a ceremony in Evin Hotel held for cooperation with L’Oreal. Zar Sima Ara is the exclusive dealer of L’Oreal Paris, L’Oreal Men Expoert and L’Oreal Professional in Iran, with over 12000 stores in Iran. Front step of a house in Abyaneh. 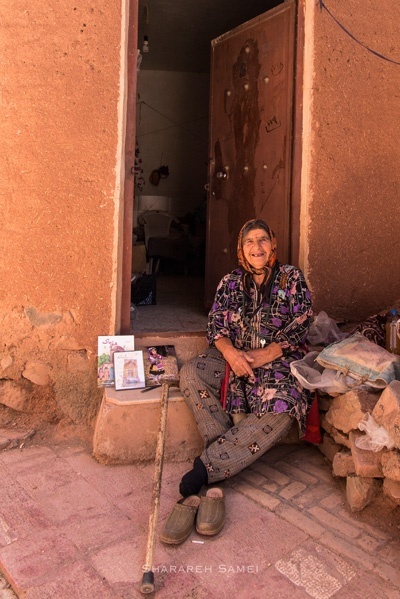 Fatemeh sells tourist CDs of the village. She earns a living by selling these CDs and renting local costumes. Abyaneh is one of the oldest human settlements by Dasht-e Kavir in Iran. There are historical sites from Sassanic, Seljuk, Safavid and Qajar eras in the village. Iranian child watches a mourning ceremony held in honor of the third Shi’ite Imam. 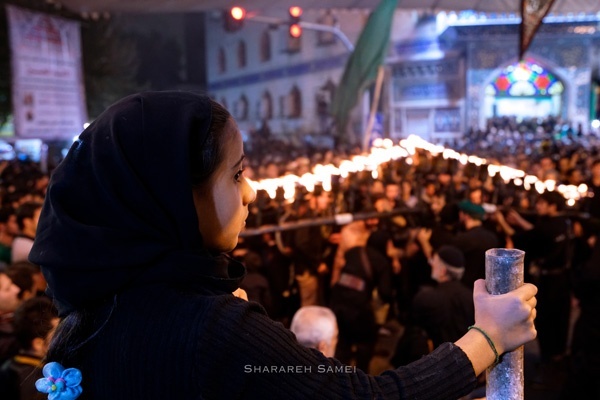 Some of the Arab-Iranians living in Rey gather at the ninth and tenth of the month of Moharram and hold a ceremony known as torch handling as a sign of mourning for their Imam. 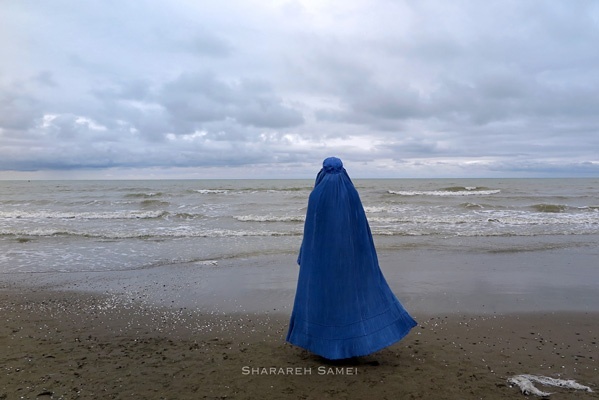 In Kheshtsar, a woman stands by the Caspian Sea in an Afghan outfit. From April 1987 onwards, after a long civil war in Afghanistan, a large number of Afghan immigrants came to Iran and stayed there due to similar language, culture nd religion. Afghan women rarely wear their traditional outfit in Iran. 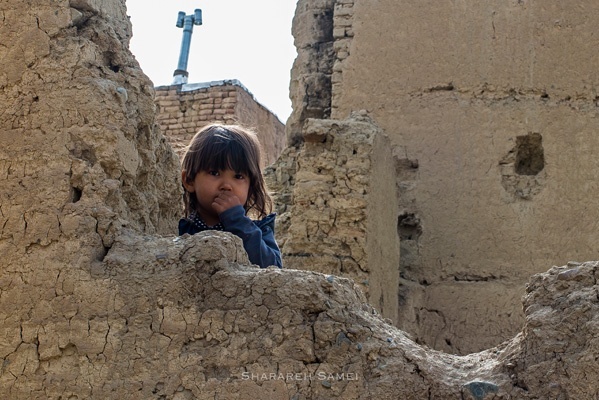 An Afghan child lives with her parents in the ruins of Tarqrood. There has been many attempts to let the children of Afghan immigrants go to school in Iran, but due to lack of proper paperwork and many legal complexities, most of them are denied this right. 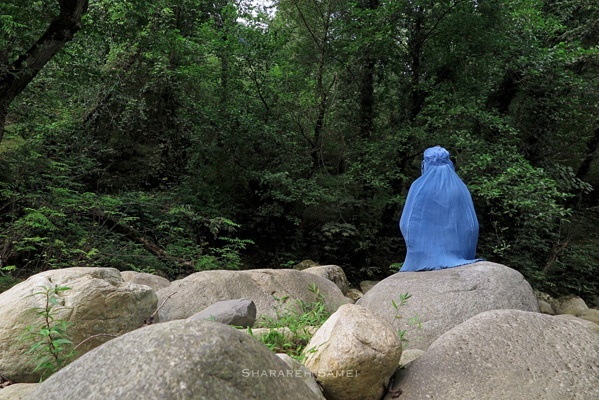 A woman in Afghan outfit, sitting in the countryside of the Pultan village in the north of Iran. War, poverty and lack of safety in Afghanistan has caused the rights of Afghan women to go ignored for years. Today, Iran is a second home to many Afghan refugees. 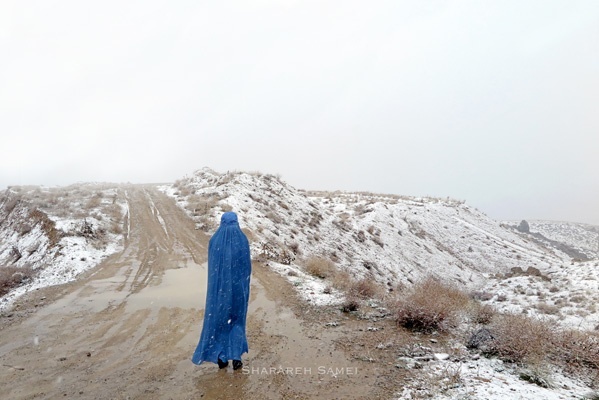 On a road near Firoozkooh, a woman wearing an Afghan Chador is waiting. A large number of Afghan refugees were forced to go back to Afghanistan on 2006, but when the Taliban resurfaced, many of these people immigrated to Iran again. An Afghan child lighting a candle at a mourning ceremony of the third Shi’ite Imam in Esfahan. In this ceremony, called “Sham-e Qariban”, which is held on the tenth day of the month of Moharram, many Iranian and Afghan refugees gather in large public spaces and light many candles. You can also leave your comments below the articles.